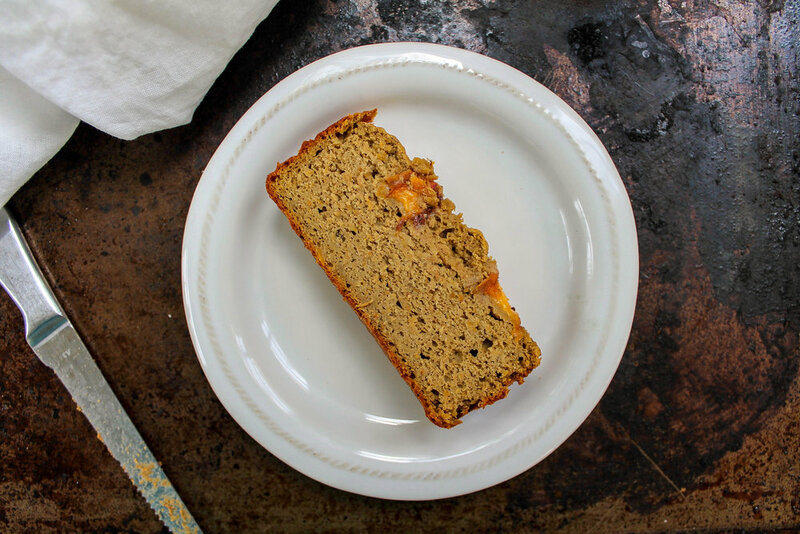 Not only is this peach bread delicious and gluten-free, but entirely versatile so you can use whatever flour you have on hand! In a large bowl, add all dry ingredients (flour > coconut sugar). In a separate medium bowl, add all wet ingredients and whisk to combine. Pour wet into dry and beat until batter is formed. Pour batter into parchment paper lined bread pan. Top with thinly sliced peaches if desired. Bake 45-50 minutes or until toothpick comes out clean. Allow to completely cool before slicing.